Whether you’re a mother of two building your own home business online, or an established firm selling hundreds of products a day, Innovative have the design and development solutions that will take your online sales to the next level. 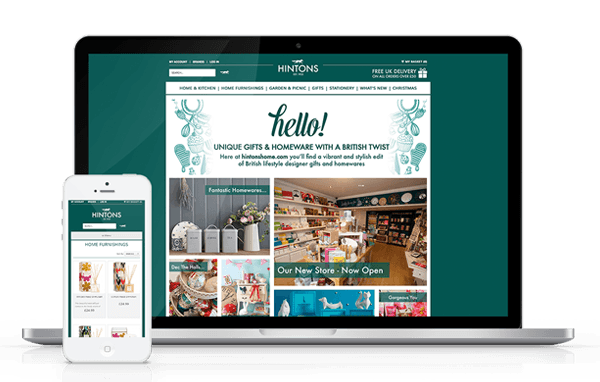 With our experienced team of designers and code masters, we’ve developed hundreds of eCommerce websites over the years – maximising returns and putting products in front of new customers. Online shopping is one of the fastest growing sectors in the world, and everyone wants a slice of the eCommerce pie. When you work with Innovative to find the solutions that best suit your business, you’ll end up with a stunning, functional web shop that you and your brand can be proud of. 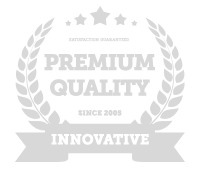 So what can you expect when you work with Innovative? Every online shop is unique, and we want to make sure that the shops we design are as individual as the entrepreneurs behind them. We’ll spend time getting to know your business and the products your shop will be selling. We want to hear about your USPs, your business processes, your target market and your goals for the future – it will help us build a clearer image of the shop you’ll need to meet those targets. Once we’ve built a crystal-clear idea of the type of audience we’re catering to and the products the shop will be selling, we will enter the planning stage. We’ll research a number of alternative eCommerce shops, competitors and market leaders to create a series of ‘highlights’ which we’ll use to wire-frame your new online store. There will be outlines and draft designs for each page template, and if you need a new navigational system we’ll step in and do all of the behind-the-scenes work for you. We can even advise on the type of category alterations that could increase conversion rates – that’s the standard of work you’ll receive from Innovative. At this point, we’ll also make our CMS (content management system) recommendation, based on the needs of your business. There are four main platforms that we’re passionate about and love to work with – Opencart, BigCommerce, Magento, and our own bespoke eCommerce solution, built from the ground up by our team of coding experts. Once the wireframes have been approved, our creatives set to work creating a visually stunning, appealing and engaging design; which fits perfectly with your businesses values and goals. We offer unlimited design revisions, as we want to ensure you are 100% happy with the look and feel. Our team will recommend colour schemes, fonts, images and illustrations as part of the design; working with you to alter any aspects until you are 100% happy. Having being in the industry for 10 years, we have honed our skills to be able to visualise your style first time, so we can assure the processes is as painless as possible. Once the creative element has been finalised, we’ll pass the project into the capable hands of our in-house technicians, who will take the stunning visuals and build them into your chosen CMS with pixel-perfect precision. We’ll incorporate all the requested features, whether it’s a visitor counter or a featured items section, and we’ll optimise the design to our responsive framework – so whether you view the shop on a tablet or a laptop, you’ll be shown the most streamlined and effective version of the site. Everyone’s got their own favourite web browser, and we don’t want to alienate any potential customers – so in the testing phase, we carry out exhaustive cross-browser and cross-platform tests to ensure that whether you’re using Chrome on a smartphone or Firefox on a tablet, you’ll still see the same functional and beautiful eCommerce shop. As standard our team will populate the new website with your existing product images and content. But you might feel that a new online shop deserves sparkling new copy and a raft of shiny new product shots. Whatever your request, we’re here to make it happen, with talented wordsmiths and eCommerce experts, who will help to maximise your profitability and realise your shop’s potential. There’s no point in putting the finishing touches to your beautiful new online shop if no-one on the internet can find it. As part of our service we include a basic SEO package, which optimises your pages and products’ page titles and meta descriptions, ensuring they start to rank with the main search engines. Your pages will be studied carefully to ensure they align with your core keywords, and maximise the chances of you bagging a coveted first-page spot on Google. At this point you’ll be given the chance to undertake a final review of your completed eCommerce shop in all its glory. We’ll swap out any elements you’re unsure of and make any final tweaks to ensure the shop is ready to go live. We’ll also provide you with full training to make sure you can find your away around Magneto, BigCommerce or any of the other CMS we use – you’ll be taught how to add products, manage customers, process orders and all of the basics you’ll need to get the most from your new shop. Step 9 | Showcase Time! Congratulations – it’s time to show off your fantastic new Innovative eCommerce shop to the world! We’ll swap out your old website and replace it with your shiny new one, and we’ll complete a thorough handover checklist to ensure that all the housekeeping has been carried out before you take the reins. All our eCommerce shops come with a three-month warranty where any issues that may arise are fixed at no cost to you. We’re here to ensure your new online shop works hard to increase your sales and boosts customer engagement, so if you have any queries or new requests, we’re always on hand to help. If you’re interested in working with Innovative to build a functional, beautiful and effective new eCommerce website for your business, get in touch today! Our friendly team will talk you through your options and set you on the path to online success. Give us a call on 01794 399 800. Opencart is our chosen package for small eCommerce websites where the ongoing budget is fairly limited. Opencart is an Opensource platform, meaning there is no charge for the software, just the annual hosting fee. Our team also have full control of the platform to create and develop any kind of solution you may need. BigCommerce is the fastest growing eCommerce platform in the marketplace with over 50,000 stores online. 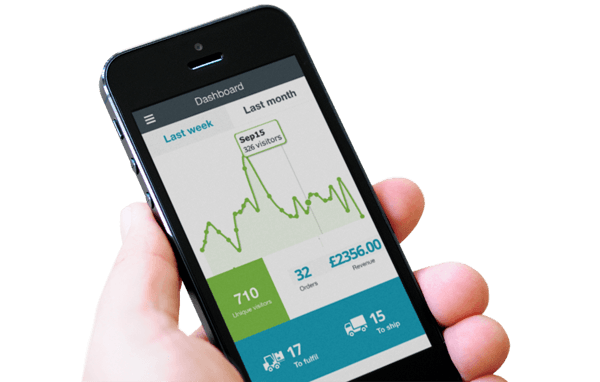 There is a small monthly fee which covers the hosting and software license allowing automatic updates throughout the life of the store at no extra cost. The software an excellent user interface. Magento is the heavyweight option for complex stores with 1000’s of products, in use by 26% of all eCommerce stores online. The platform is very scalable, secure and reliable. As an opensource solution, it can be fully customised to meet the exacting requirements for any new store. We’ve been working with Innovative for the past 6 months who have developed three e-commerce sites and two static content sites. We had some complex programming required for our skip hire e-commerce websites and not at any point was anything a problem or too challenging to achieve. All website development projects were completed on-time and within budget. Within the first four months of our new skip hire websites been live, visitor numbers have increased 140% and online sales have increased 68%.